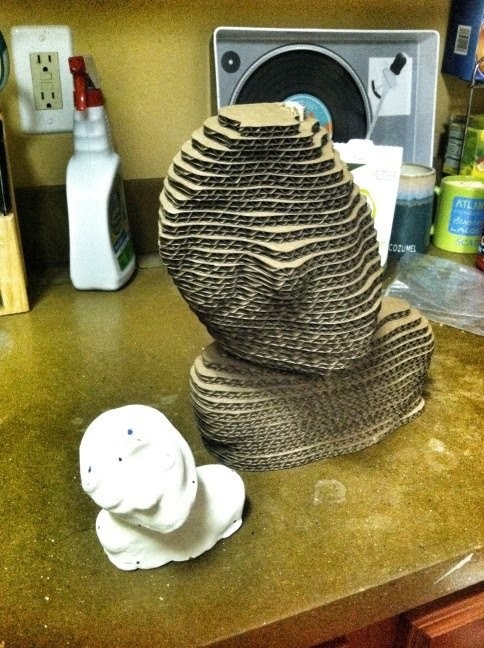 This is the process of how I made my clay man scan. Here is one of my sketches. I started off with wood, aluminum foil and clay. After it was made out of clay, I painted it white so the scanner could read it better. Here are some images of some of my scans. In order to put the images taken by Rapid Works, I drew dots that would help put the images together. Here are some photos of my serial stacked object next to the clay man.